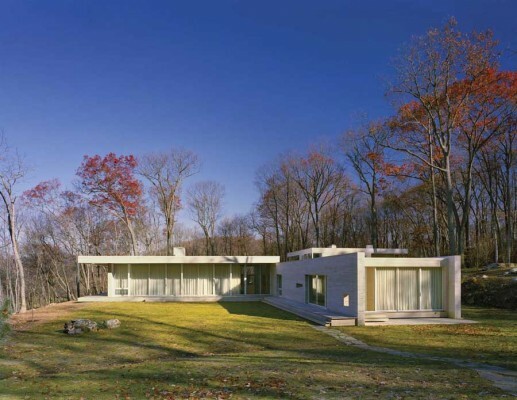 The design for Holley House was initiated in response to existing stone walls on the site, a twenty-five acre parcel near Garrison, New York. 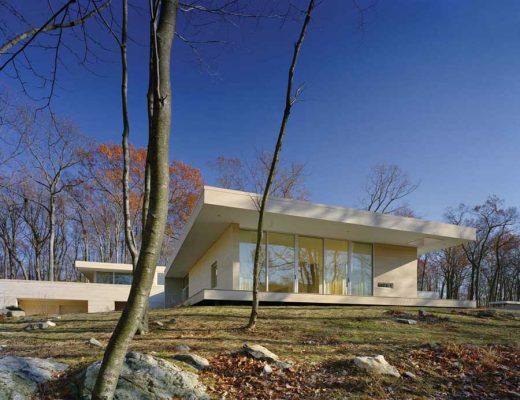 The architects designed the house by first building two parallel stone walls from stone quarried on the site. The house is experienced as indoor and outdoor space organized around the two walls. Two open pavilions on either side of the parallel walls connect interior spaces to outdoor landscaped areas. 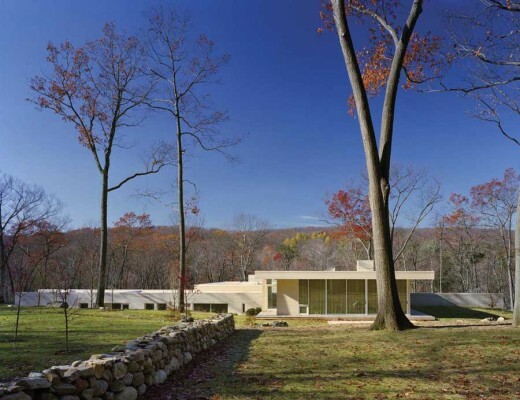 The spatial sequence through the house east to west, runs from a wooded area behind the master bedroom pavilion to the pond below, passing through the north-south walls that separate the two pavilions. The sequence walking north to south runs from the driveway to the pool, passing through the linear space between the two stone walls. These two experiential sequences intersect in the formal entry area of the house, in the guest wing nestled between the two parallel walls. 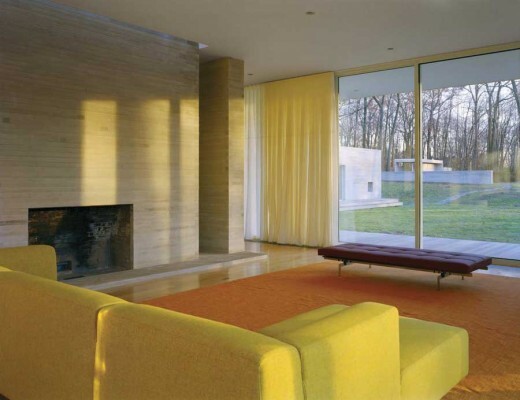 The house program is divided into master bedroom pavilion to the east, wall space containing guest bedrooms in the center, and living / dining / kitchen space to the west. The house includes green features: cladding is sustainably harvested cedar; stone is from a local quarry and harvested from blasting on the site; paint and floor finishes are low VOC; landscaping is native species; lighting is high efficiency fluorescent.